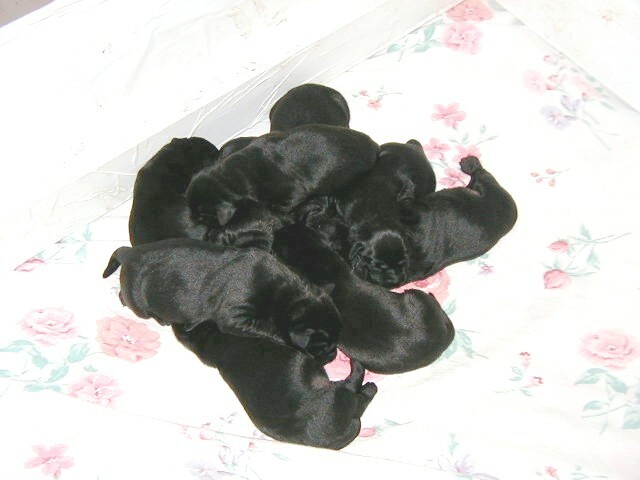 Washita Retrievers offers custom whelping services to the breeder who has to travel, has to work, or who wants to be sure that his loved dam and her pups are safe throughout the pre-whelp, whelp, and post-whelp process. 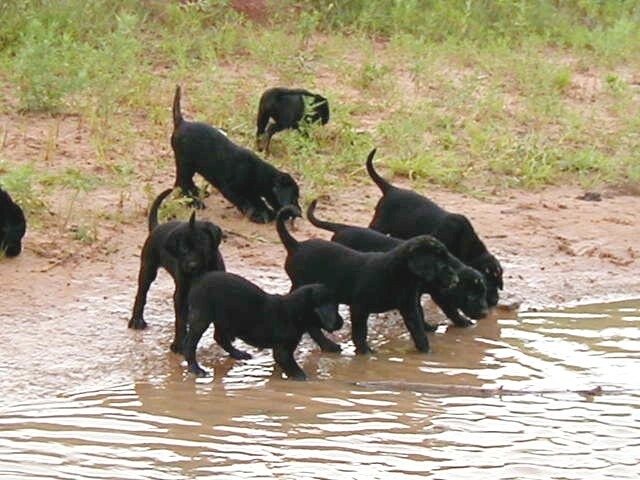 In addition, Washita Retrievers can raise your puppies through their first seven weeks while exposing them to all the sounds, smells, and experiences they need to be future successes. Scorll down for more information. Second to None Whelping Facilities! 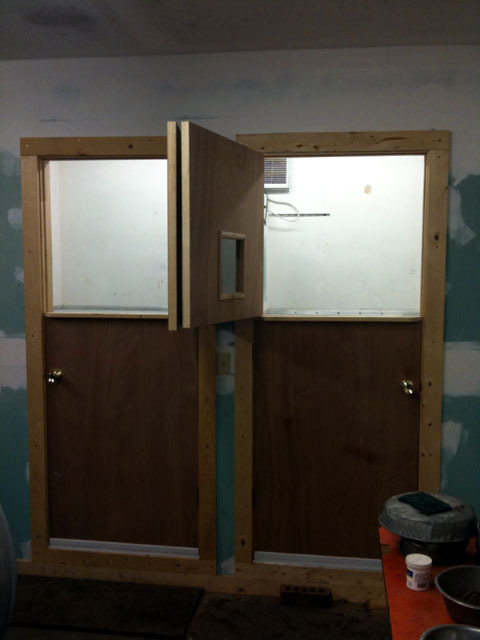 During our Winter 2009 – 2010 renovation and expansion project, we added two new whelping rooms to our facilities. 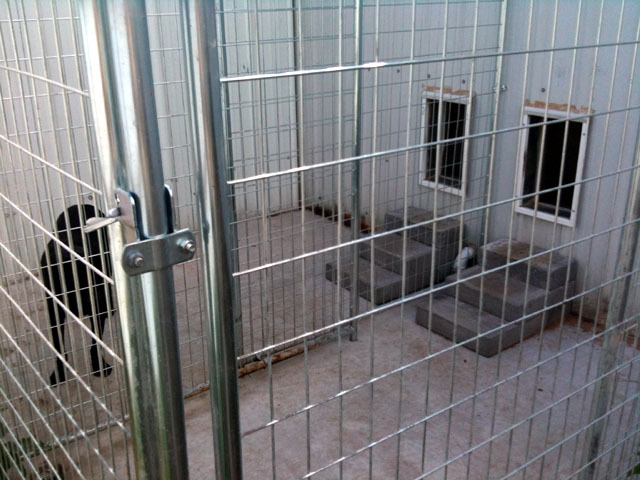 These whelping rooms are climate controlled, have an airing area totally separate from the rest of the kennel, and have separate concrete outside kennels attached for mama and pups. We have over 10 years experience whelping retriever pups. Making the important and sometimes tough decisions in a timely manner has become second nature to us over the years. We treat your pregnant female as our own when the tough situations arise and do everything in our power to keep her and her pups safe and healthy. Over the years, we have prevented the eminent c-section by intervention with drugs as well as manual manipulation in assisting the birth process. We have the experience to know when it's time to make the call for intervention by a veterinarian as well. Our veterinarians, Dr. Lance Minson (Duncan), Dr. Cade Coppenbarger (Davis), and Dr. Todd Mauldin (Oklahoma City), are all “retriever guys”, duck hunters, and actively participate in the “retriever games” so they know the importance of what we are doing, and the importance of what your female means to you. In fact, when Dr. Coppenbarger's dog, GRHRCH Doc's Ciara Mist of Washita MH, was bred to our very own “GRHRCH Gunner MH”, he chose for us to take care of Ciara and whelp the puppies. Custom whelping is on a first come first served basis so please plan ahead and make reservations early. With the addition of these facilities, we can now assist in whelping client litters most months of the year and at many times two client litters. Care of your pregnant female for two to four weeks prior to scheduled whelp date of the puppies. This gives mama time to get acquainted with us as well as become familiar and comfortable with her surroundings. Administration of any drugs or supplements during the time of the female's stay. The actual drugs or supplements are supplied by the female's owner. Whelping the pups. If complications arise and trips to the vet are necessary, the female's owner pays for the vet services, but we don't charge any type of “vet transportation fee” or hidden fees like that. Any drugs used in the whelping process are to be provided by or paid for by the owner. Trip to the vet at three to five days for puppy dew claw removal and initial health screaning. Also, if desired, for the new mama for a routine checkup by the veterinarian. These vet costs are the responsibility of the owner. Administration of de-worming and de-protozoa medicines. Some of the medicines we use to keep the pups free from parasites throughout the time they are here are Pyrantal Pamoate, Fenbendazole, and Marquis. The cost of these medicines are paid by the owner. Staying at Washita Kennel until they are eight weeks of age. During those eight weeks, we properly introduce puppies to water, birds, kids, playing in the grass, riding in the truck, getting loved on, coming in the house, etc. We also start them on only the best Eukanuba foods. Marketing to help you sell the pups. While it is ultimately your responsibility to sell your puppies, we will actively work to help you sell your pups by using whatever resources we can including listing on our website, www.washita.com. The cost for custom whelping is $200 per puppy and you can reserve your spot for $250. There is a 10% discount for pups whelped from one of our stud dogs. Please click here for our stud page.